no hoops in the morning. what a perfect time to head to the waffle house for a kickoff of 2018. scatter, smother, and cover your way into the new year with the house of grid format pancakes. regular schedule resumes starting wednesday. our last hoops day for 2017 is tomorrow morning. can't believe we are here at the end of another calendar year. but it is resolution time again. one good determination is playing more hoops. if you are looking to get back in the gym, you know where we are. start tomorrow! i hope your christmas was merry and bright. we play again tomorrow morning. and then on friday also. perhaps you can bring your new basketball gear to break in. should be good times. hope your time sleeping in and then going to waffle house with your families is a time to remember! and to all a good game! we ARE playing in the morning. we are NOT playing MONDAY. in hopes that ten players would soon be there. isn't it christmas break yet? we should have ten guys, right? let me outline the schedule for the next couple of weeks. we will NOT play on this coming monday, which is christmas. and we DON'T have the gym on the following monday, which is new year's day. we are playing the rest of them. i will be there in the morning. i'll see who joins me. i hope you guys have your shopping started or maybe even done. only ten days left! and a gift card to the waffle house is a great way to say, "thinking of you." you can, of course, had over to the waffle house AFTER playing some holiday hoops. 'tis the season, right? heh, you know it is! i realized after monday's games that it was the first time in a week that i had really run. last wednesday didn't provide any running, and i slept in on friday. my body decided to be harsh when reminding me of what little i had done aerobically. but i am ready for wednesday. a good balanced set of teams will put things right with how much exercise my body can endure. or even unbalanced. i won't be picky. all i know is that more running needs to happen. we are back to a normal schedule this week. full monday, wednesday, friday hoops days. i just got a call from eddie. he informed me that cedar springs is open this friday only in lieu west park being closed. so, if you still need to get your hoops fix before the weekend, head over to cedar springs on friday morning for rousing hoops! we play tomorrow, but NOT on friday. get your running in on wednesday. i plan on another hard running day tomorrow! it's finally december 2017! and christmas is closer than you think. only 24 more shopping days. 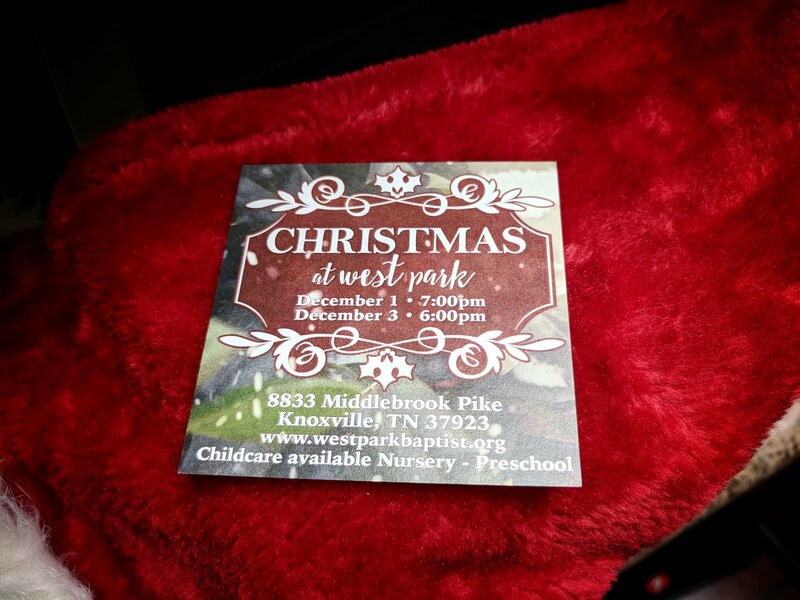 want to invite you guys to come to christmas at west park this weekend, on friday and sunday evenings. two nights only! west park choir, band, and orchestra will kicking off december and christmas with music to set the scene for december 25.
since we didn't see nate on his normal monday visit, will we get a wednesday replacement? if we get danny back tomorrow along with monday's crew, it could be some decent basketball. n. 1. the part of the body between the chest and the legs. 2. the time between thanksgiving and christmas where playing hoops can fix one problem and prepare for another (i.e. the changed circumference of definition 1). and thus we begin. confections are a highlight of this season, so it will be a struggle. if you counter it with pushing yourself hard, you can win this year. i hope your turkey day was a thank-filled day. tomorrow is the last day this week we play. turkey day is this thursday, so get your exercise on now. i don't think we'll be hurting for players in the morning. remember: friday is black friday shopping/waffle house day. we don't play. turkey will be on table this week. you know naps will follow turkey. better get your game on tomorrow and wednesday to prepare for turkey. ...next week by this time, turkey will be consumed. and then you'll be ready to drive your family to all those black friday events. speaking of which, we are NOT playing next friday, november 24. we WILL play friday, december 1. of course, we will also play november 20, 22, 27, and 29. those are mondays and wednesdays. for tomorrow we play hoops! one correction from monday's email: we do NOT play on the friday after thanksgiving and on dec 8. we WILL play on dec 1.
see you guys in the morning. thanksgiving is a few weeks away, and now is the time to plan for pre-turkey exercise. court will be open tomorrow morning like usual. do take note that we do NOT have the gym the friday after thanksgiving and the following friday (dec 1). i guess that extra hour of sleep helped at least me on monday. i felt like i played on friday. in fact, i might have overdone it with respect to my knee. since i woke up early today feeling sufficiently rested, i am hoping this trend lasts all week. i need a crew to keep me moving. i'm expecting you guys tomorrow. let's do this! 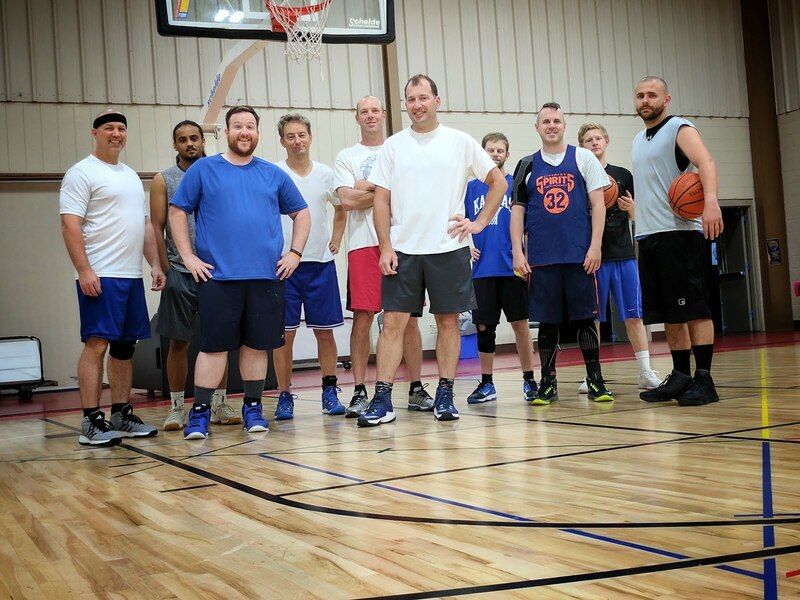 we are back on the hardwood tomorrow after an impromptu sabbatical last week. bring your A game. we had a new player show up on wednesday. welcome dave! (not that dave, or that one either.) we got in some much needed exercise. turns out, he has some basketball skill. cold temps probably won't deter the kiddos from asking me for free candy, but i suspect i will habe some leftover. and that's why basketball is so important. exercise to work off the candy before thanksgiving arrives, and we fill up again. here's a throwback pic of pirate dave and me all halloweenified by google. i know friday was kinda short notice for having to cancel, but things came up. we return back to the court tomorrow to kick off the final couple of days of october. we have a change to the gym's availability tomorrow morning and will be able to play. we will resume next friday as usual. however, this is a good opportunity to catch up on sleep...or head over the waffle house with your pals for smothered and covered stuff. please pass the word along! temps are dropping, but the game is still on! let's see, if we can get back all our crew minus nate but add pirate dave and eli, we will have a good crew for morning hoops. record "the talking dead" and watch it tomorrow eve after work. hoops first! two crews get together for hoops. i need more of my crew tomorrow and jeremy needs maybe a couple more of his crew. then we'll play hoops. maybe last week was just a symptom of fall break. monday was a great return to running. i will be ready tomorrow morning for another one of those. can we get the monday crew plus a couple more? i do. we need even numbers tomorrow to do any serious running. i don't care which other odd people who show, as long as we end up with even. it will be a good time! blade runner sequel is close, yet we have one thing we need to do first: play some hoops. okay, maybe twice before we see the premier. don't be such a replicant and sit down and...shutdown. give it your all! that said, i will stretch out my hamstring as best as i can and play for as long as i can. no giving up! it kinda feels like fall this weekend. moreso than last week. i hope for more of these temps. what a better way to kick off the fall season than with basketball. i know some of you are cranking up the "rudy" soundtrack for football. but let's be real: hoops is a better thing to celebrate. where's my "hoosiers" soundtrack? amirite? all those who agree, see you in the morning. low count and lower back probs made wednesday a wash. i plan to recover that time tomorrow. i will be happy with eight. that is my minimum for a good morning...as long as my back doesn't bork. see you other seven in the early hours. you might think it's eggs or bacon ot even waffles since i talk up the waffle house so much. but those things come after hoops. maybe eggs and bacon is second breakfast. could be. i just know that tomorrow, hoops is first. i picked up another of the wilson basketballs. it's ready for debut tomorrow morning. 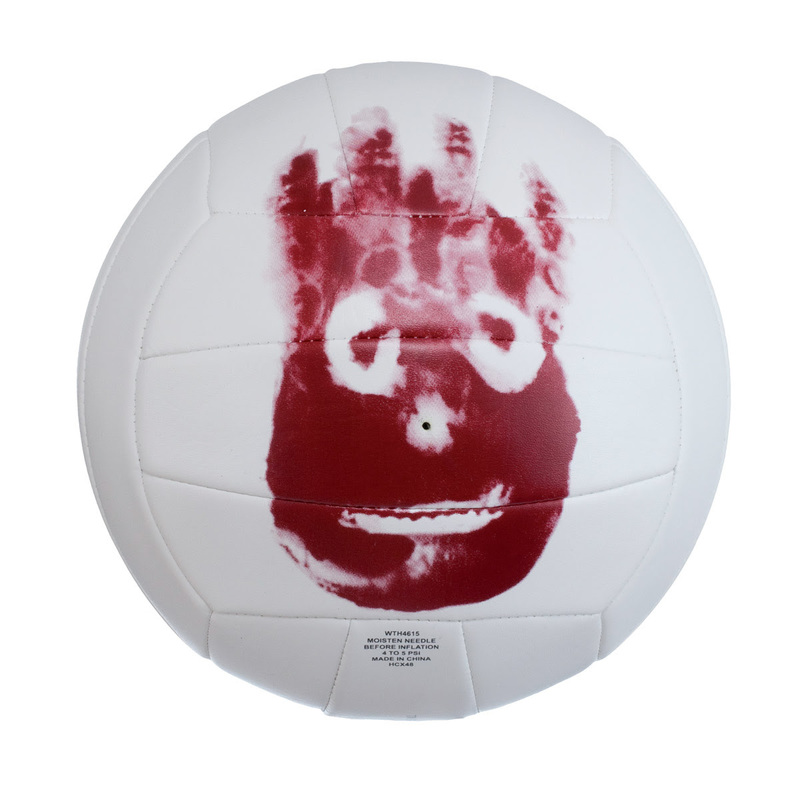 to borrow an image and a quote: "wilson!" thanks to all who weighed in for the wednesday morning vote on which of the two new basketballs was the favorite. 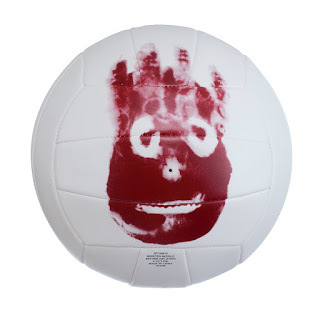 i have put in an order for another wilson which will arrive tomorrow. unfortunately, i will not arrive before tomorrow morning. you won't see that addition until monday. however, we do have both the spalding and the wilson brand new to be used for warm up. i know tomorrow will be a good day for fast-paced games. looking forward to it! 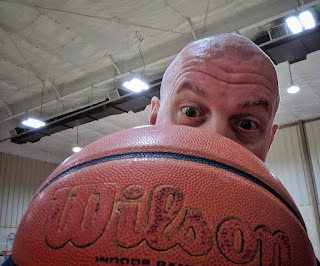 i am planning on bringing a couple of new basketballs for review tomorrow morning. if you want to beta test them, show up like normal and give them a try. it took all day friday and saturday for my bod to recover from friday hoops. i gave it more than normal and then paid for it the rest of friday. but it was all good. i needed the workout. and i am ready for monday. if you too need a good monday workout, then you are in luck. tomorrow can provide that. as in hoops. as in early morning basketball. as in see you there. we are playing this weekend, both friday and monday, standard times, the usual drill. you guys are probably grilling some dogs and such, so exercise, right? we need to get august finished up and out of here in a couple of days. if we work really hard, we'll be on time. we're going to start early tomorrow. and when i say early, i mean usual time. but it should be enough to keep us on track. the weather has been much better since the eclipse. it feels like fall. i like the fall feel. i am ready for it. but i digress. hoops back on the schedule tomorrow morning. bring a friend! just a reminder the gym will not be available to us tomorrow morning. we will be back on monday as usual. 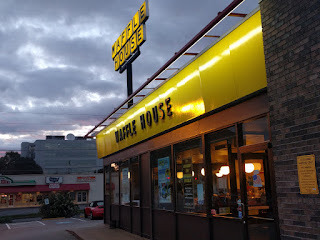 also a reminder that the waffle house is right down the street. eclipse has past, but hoops remains. and nate remains. and hoops remains. wait. i already said that. anyway, we play wednesday, but we do not play friday. i say again: NO HOOPS ON FRIDAY! just making sure you know. solar eclipse day is finally here. or as travis would call it: nate's day. despite whatever omen you might think this is, it is normal hoops for us. expect disaster on your own time. nate, you know this means that you have to represent on your day, right? so, see you in the morning. but next friday: no. we play tomorrow morning, but we do have the gym on august 25. you will need to find another place. or just plan to head to the waffle house for some pancakes. who gets pancakes at the WAFFLE house? get WAFFLES, yo! if all goes as planned, i will be full of energy tomorrow morning ready for some active hoops. if not, i will still be there to do what i can. playing tommorow? for sure. see you there? we are at august. it's the second month of summer and gets everyone in the mood for fall, even though we are over six weeks away. what does that have to do with hoops? nothing really. we've been here before. since it's all the same, i know you'll expect all the normal stuff. and you should. times are unchanged. game is the same. all we need is the peeps. in the morning. we have a good crew for mondays and wednesdays. we can run the court fully with current numbers (even more so with micha). let's get some full court running in tomorrow! 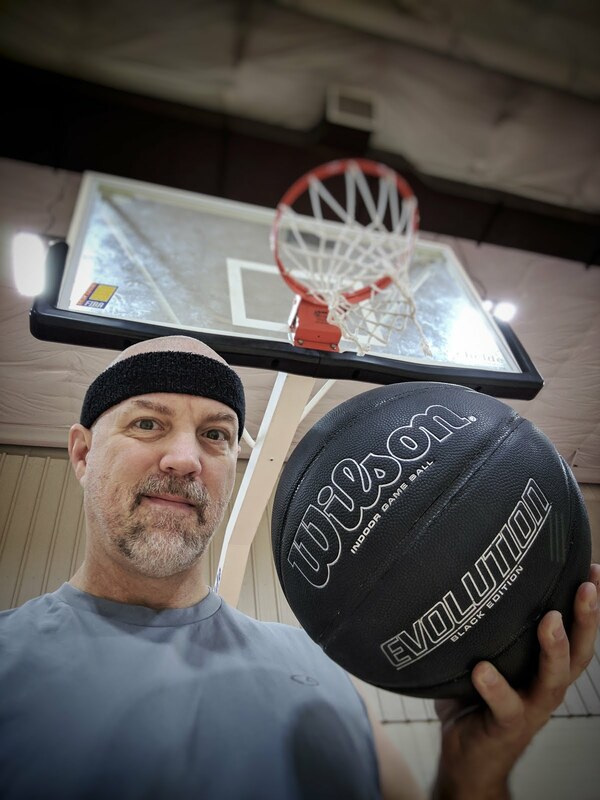 i think a good night's sleep on sunday made my monday morning hoops a better experience. sure, i could have been more quicker, more agile, but nothing accounts for getting older. can i get an amen, nate? i think some of my more recent morning games were crippled by a lack of good sleep. was how it went on wednesday. full and half court games. ran hard the first game. full court one game was enough. cedar springs guys will join us. no, not the nba kind. need to get to bed. if i am to run. then i can lose weight. did you take part in prime day from amazon? well, it's a good thing that prime day wasn't a hoops day. otherwise, we'd have to keep score with prime numbers. ok, so, see you all in the morning. we have cool air in the gym! hope your Independence day is good times. many parades, burgers, and fireworks won't stop hoops in the morning. a few of you who skipped on monday missed out. it was awesome. but there is always the morning. no hotdogs or fireworks in the morning, but there is still freedom to play some basketball. and there might be hotdogs and burgers in your near future. if you are like me, getting a workout prior to the meal makes the meal more enjoyable. can you believe the first half of 2017 is almost over? i know, right? well, we still are playing hoops in the morning. and we'll be playing on monday as well. 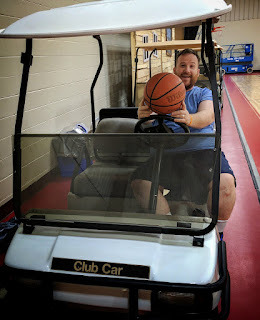 we found some new equipment in the gym on monday. boy, the round of hoops we played paralleled...well, maybe a few others. nate seemed pretty happy to be carted off, though. we have three good hoops days left in june. we should make them count for something. a few good games, some well-deserved running, and epic plays will leave us talking about this june for years to come, maybe even stories to your grandkids. we'll start tomorrow morning. good? i guess long-ish weekend is next week. it feels so close, though! gym is back online tomorrow morning. i hope you were able to either get some extra sleep, find an exercise alternative, or find some waffle house last week. whatever happened, it's in the past. i will see you guys in the morning! wednesdays are typically better since i am already in a groove with my metabolism a bit higher than after a weekend. i am expecting better results tomorrow. ok, who's ready to play some hoops tomorrow in the wp gym? and who's got two thumbs? this guy. hopefully, i won't be alone. whoever is ready for some action, set your​ alarms and prep your jersey. it's going to return to court time in the morning...and all week. it's vbs time at west park this week. we will not have access to the gym until the next monday. you could swing by cedar springs and join their crew. i know a few extras from our side might make for some good morning exercise. or there's waffle house. last day this week...and next! next week is vbs for west park baptist. that means that the gym will be unavailable all week long. but cedar springs is most likely back to normal. if you wanted to keep your morning basketball schedule, check them out at the same time. but we do meet tomorrow morning before vbs setup takes place. and speaking of fridays, i've included a clip from last friday's play. enjoy! cedar springs has vbs this week making our numbers pretty good for some serious hoops. i am looking forward to tomorrow morning already. in that note, west park will have our vbs next week, meaning no gym use for us. make your plans accordingly. ok, good! see you all at 5:40! ready for another week? invite friends, come back for the summer, join us. we are losing a good friend​to alabama. a new job will take dave "the dove" to strange and foreign lands. it has been a pleasure getting to know you and your family. although we have seen a small bit of God's planning in this change, we hate to see you go. join us any time you are back in k-town! feels like we just got through playing from monday's long games. it's already time to hit the court again. alarm will have me hitting it hard tomorrow at oh-normal-hundred hours. be ready! we are still playing tomorrow morning. usual time. it's the long weekend, and we are playing today and monday, all the usual times. weather forecast shows rain for monday at this point, so you will be needing some indoor activity. dave "the dove" is hoping for a few regulars to reprise their roles on the court for monday (at least). time is running out! order while supplies last. some restrictions apply. void where prohibited by law. another rousing game of dave and i taking on the world on monday morning. although i was a little sleep deprived and nate found his three-point game late in the morning, we didn't do too badly. if i get enough sleep tonight, wednesday might be a different ball game. for those asking the question, the answer is "yes." for those of you asking the question of what the question was, the answer is (for $400, alex), "are we playing on memorial day?" dave is asking for a memorial day of hoops where all the old crew shows up for some round ball action. sounds good to me. memorial day is closing quickly. it might be a short week for some who might extend that long weekend to something longer. getting in some exercise shouldn't be that hard, right? i didn't think so. meet tomorrow. we start early. thanks to the monday crew who made my need to run a reality. i had select muscles whine later after i had gotten to the office. i hope to get the same if not more exercise tomorrow. i feel farely confident that calories will burn. come burn your own calories. join us! if i can make it to bed on time tonight, i'll be able to get all the running i needed to get last friday. i ended up way too tired for the running those games required. so, we're going to need a full court crew to make this happen. set your alarms! you know who you are! wednesday's teams, though evenly matched, didn't end up being that way. micah did more we anticipated. and our shots were not as great as the other guys. for me, i could have run more. more exercise. that's why i'm there, right? let's see how tomorrow goes. monday was fun with two marks and a micah taking on the likes of danny, louis, and "the dove" in some full-court madness. that doesn't happen often, so you gotta make the most of those moments. let's see what tomorrow has in store. wake up in the morning! after a cold weekend, it will be good to have warm weather back in​ the forecast. nothing has changed with hoops, though. show up and play hoops. warmth is guaranteed. well, at least i hope it isn't tomorrow like it was on monday. i have asked about the off track curtain. hopefully, they got it fixed after the lunch on monday. we will find out tomorrow. if not, we'll have to engineer something to get it pulled back to play full court. april is over. may is here. summer is closing in. soon, memorial day and then Independence day. it's all moving so fast. you can move fast too...on the court. come play hoops tomorrow. running allowed. i am ready for more 2-on-3 full court! dave, are you with me on this? i think the two of us can take you guys. monday was just a warm up morning for what is coming tomorrow. we are back tomorrow like nothing has changed. hoops is on in the morning. ready yourselves! sorry for the late notice, but i just heard the gym is being prepped for our community day tomorrow. it will not be accessible to us. please pass along to those who need to know. we'll plan for resuming a normal schedule​ next week. if you have completed your taxes, you can come join us for basketball in the morning. but if not, you need to finish your homework before you can come out and play. i hope you were able to find a place to celebrate the very aliveness of the Son of God today. as i heard it this weekend, God the Father​ "validated the sacrifice of Jesus by raising Him" to life. indeed the phrase by Jesus before He gave up His spirit, "it is finished!" means quite literally, "paid in full." that's good news. see if you can get out of bed tomorrow amd play hoops with us. welcome to easter weekend! good friday hoops start in the morning. i hope to have decent sleep to run the court pretty hard. that's my goal, at least. as a plug, we are having a good friday service at west park at 6:00p which is different from our easter services on sunday morning at 8:00a, 9:30a, and 11:00a. we also have a saturday evening service at 5:00p if you can't make any of the sunday morning times. consider yourself official invited. ok, i know this isn't a thing either, but i gotta keep the theme going up until good friday. interesting games when you play some odd numbers at full court. if i can get a full night's worth of sleep (that is, without any interruptions), i will be really ready for full court whatever tomorrow. here's hoping to a full cycle of sleep! nevertheless, we still play hoops tomorrow. it'll be just like the other days we play, of course. yeah, so, tye weather is like that. and you know that really doesn't make a difference to us. we will be warming up before 6:00a then playing around 6:00a. plenty of running guaranteed. if you were waiting for march madness to end before coming back to hoops, now is the time to show up. and by playing, you are honoring those who played in tye ncaa tournament by continuing their work on the court. we need a good crowd for tomorrow. numbers are low. shirts-off season is coming. now is a good time to get rid of that gut. (that's what drives me to get out of bed in the mornings.) the more we have, the fuller the court can be. plus it's tons of fun! month three is at its end for 2017. quarter one is almost done. in other news, hoops. tomorrow. you know the drill. see you aptly. i haven't sent an email in a few days. so, here's catch up time. what did you miss? david and i took on three people full court last wednesday. we held our own as we defeated the first two games. then about eleven on friday, down to ten quickly. 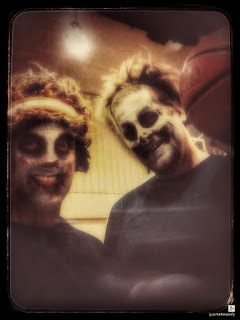 then david "the dove" and i revisited our 2-on-3 full court challenge...and didn't do too well. but i was on meds and hadn't slept well the night before. nevertheless, we didn't let them skate by with an easy win. that about sums it up. if you want a piece of that action, you know where to find us. we had one team make it on wednesday but the other never showed. it worked out, though. dave "the dove" and i took on the others in a 2-on-3 full court challenge. i think it went well. so, i will be looking for the other team tomorrow. spring is almost here. so close. i am ready since our winter was less than winter. maybe next time. anyhoo, hoops tomorrow. hmm, maybe i should have said, "anyhoops." still, tomorrow. the temps start to get better, but they will include storms starting tomorrow...and i am not talking about how dave "the dove" crashes the lane! dry court available tomorrow morning! just when you thought it was safe to wear shorts to waffle house, cold temps remind you it's still winter. you can get warmed up running the court tomorrow. were back to lower numbers this week. need a few to extras to make that possible. you know where to go. it's been like friday all week with all the extra attendance. 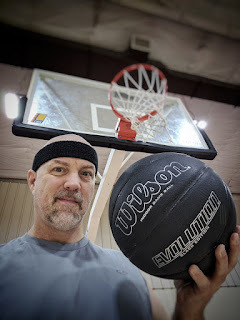 plenty of full court games makes getting my exercise easy. tomorrow is no different. i am looking forward to then. continuing with our extended basketball family tomorrow. looking forward to some full court running. looks like with cedar springs closed this week for their missions conference that we might have a few extra visitors. indeed, the numbers might be higher than normal on our monday and wednesday mornings with several more. good times. we'll play some full court! this is the month for it! watching college basketball is fun, but actually playing is more fun. since you won't be playing for any school, just show up tomorrow morning and imagine you are playing for your favorite. you can even wear your team jersey. see you all at 5:50! and as quickly as february came, it leaves. monday is the last day of 2017's second month of hoops completed. time to start on month three (on wednesday). my work week has been one of adventure. i am glad it's friday. i'll start the day off with some hoops. after that, i'll head into the office to get a few things sorted out in preparation for more excitement on monday. if i have some time, i'll be able to brief the new folks on some procedures to get them up to speed. then when work is done, i'll head home and take a break from all that. probably some xbox. but hoops. however your day might look, make hoops your first trip from home. we have been seeing a few familiar faces in the mornings. it's been a good thing. who's up for some exercise tomorrow in the form of basketball? good. i expect to see you there. make sure! hoops comes early! but you know that. me, you. tomorrow. on the court. then. because the plague was landfall. now the coast is clear! wash hands and touch no one! we play at usual time. ...from all the blitz of red, white, and pink around, now might be the last moment you have to plan something for your honey for this designated day. fear not! if you haven't gotten anything right now, there is always hoops tomorrow morning. how does that help you? well, you probably will be sleeping on the couch for not being all john "hannibal" smith (from the a-team, yo!) about things. that also means a poor night's sleep. that also also means you'll be up early to work out the guilt in the form of self-beating exercise. and if you do "love it when a plan comes together," you can show up too...and laugh at the noobs who didn't plan so well. i know sickness has closed this town, but we are still on for tomorrow. although, if you are sick, probably best to keep that at home...to rest...and drink plenty of fluids! this week has started out foggy in the mornings. i assure you that the gym has clear visibility for the full court. you can see it all! come see the full court tomorrow. yeah, but it's over now. and hoops is next on the schedule. we are still doing that. so, see you in the morning. gym is ready! it's a good time to be awake! the first month seems to always come to an end quickly. we are here again. i wonder if i lived a thousand years in this body if the month of january would get shorter each year. but i degress. hoops is tomorrow like normal. if you need some full court games, we have some room. join us! as we are headed into colder temps and hopefully snow this weekend, hoops remains constant. we continue to play at the normal times. we stay on track, keeping the dream alive. steady as she goes, mr. sulu. unwavering. solid as the rock of gibraltar. don't let a little falling water keep you away from exciting hoops. only a pansie would let that happen! we have passed the halfway mark for january 2017. so far, time seems to be flying. friday hoops usually means a full gym. i am looking forward to that. come on out on monday for some vacation basketball. all the normal time. leave your alarms set to what mondays are regularly. we'll have good times! we are definitely playing tomorrow, and we are definitely playing on monday. plenty of opportunity to get some running and shooting in. didn't expect that count on monday. hoping for full-court sized crew again tomorrow. generate your own heat tomorrow morning to combat the cold nights we have. burning calories has never been more fun than a game of basketball with friends. i will see you all early tomorrow. who knows. we'll find out tomorrow morning for sure. i am planning to open as normal tomorrow. if white stuff happens, make your best judgment. whether or not you made a resolution or not, we need numbers to run all of court. it's good time to show up for exciting basketball. and if you join us, all of you wildest dreams will come true! another year to play some basketball is here! courts will be open normal time. we could use some extras to our normal monday mornings to make full court possible. set your alarm and bring a friend.